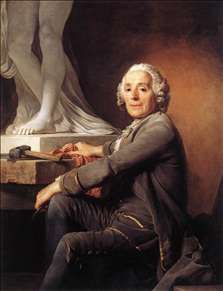 Duplessis was a French painter who studied with Subleyras in Rome 1745-49. Returning to France he pursued a career as portraitist in Paris, while retaining close links to his home town of Carpentras. 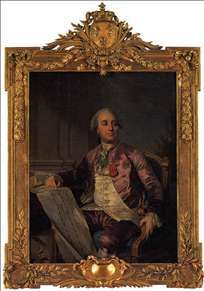 After 1774 Duplessis won favour at the court of the new king, Louis XVI, and painted portraits of the entire royal family, as well as of Gluck (1775, Vienna) and Benjamin Franklin (1779). 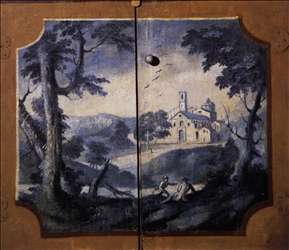 While in Paris, he dispatched altar paintings to the cathedral of Carpentras, as well as decorative landscape paintings to the local hospital. 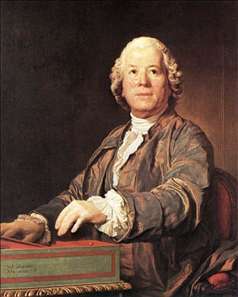 He retired to Carpentras from 1792 to 1796. 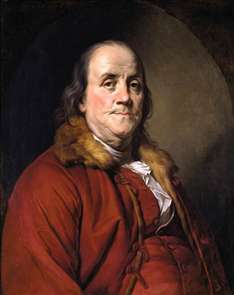 See more details about "Portrait of Benjamin Franklin"
See more details about "Portrait of the Comte d'Angiviller"
See more details about "Cristoph Wilibald von Gluck at the Spinet"
See more details about "Landscape in Blue Monochrome"
See more details about "Christophe Gabriel Allegrain, Sculptor"